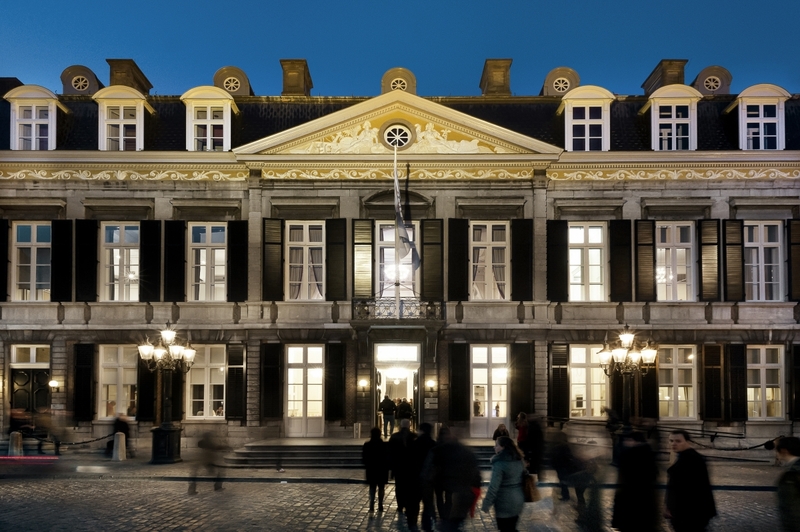 The Vrijthof Theatre is a beautiful theater located at the Vrijthof square in Maastricht. The theater is located partly in the General House, a residential palace, partly in the new building behind it. The General House is a magnificent palace from 1805, which was rebuilt in 1985 to theater. In 1985 began the restoration of the General House. In order to serve as a theater to be built a theater behind the General House. In December 1989 began the construction of the hall, to a design by architect Arno Meijs. 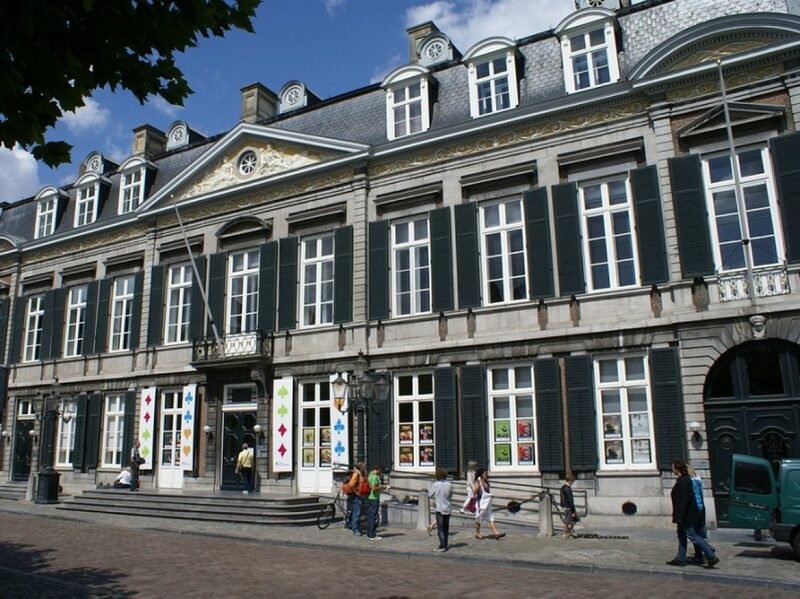 The Vrijthof Theatre was officially opened in spring 1992 as theater and concert hall in Maastricht. Theater at the Vrijthof provides (inter) national theater, opera, musical theater, cabaret, dance, musicals and much more! Vrijthof Theatre has three theater halls. Papyrus Hall, the large hall in the new building can accommodate from 800 to 855 people. This hall is perfect for large performances. In this hall most of the performances take place. There is also a small upper hall on the second floor of the old General House, which can accommodate up to 110 people. A third hall is the Edmond Huistinxzaal (Huistinx hall). This hall is mainly used for weddings, luxurious dinners or meetings. 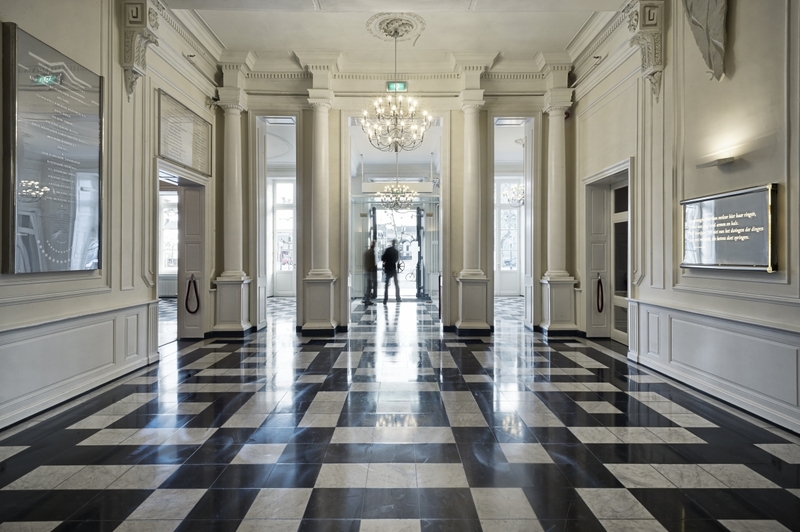 In addition to these three magnificent halls in the Theatre Vrijthof there are also three magnificent foyers. Even if you want to have a party you’re at the right place at the Vrijthof Theater. The theater offers many opportunities for an enjoyable evening. Both before and after a show, you can enjoy a snack and a drink. Theater aan het Vrijthof is a multifunctional building that serves as a concert hall and the theater. There is a wide range of performances including opera, musical, classical and world music, jazz, ballet, modern dance, theater and cabaret. Approximately 60% of the programm of the theater is filled with “artistic works”; 40% with “popular performances.” In the theater exhibitions are regularly organized, which can be visited free of charge during opening hours. If you want to spend cultural night out in Maastricht then you’ve come to the right place. Every night of the week there are theater, ballet, musicals, cabaret and dance shows here. During the theater season some festivals such as Musica Sacra, Dutch Dance Festival, Global Culture Festival ant other take place here. In the theater regularly exhibitions are organized, which can be visited free of charge during opening hours. 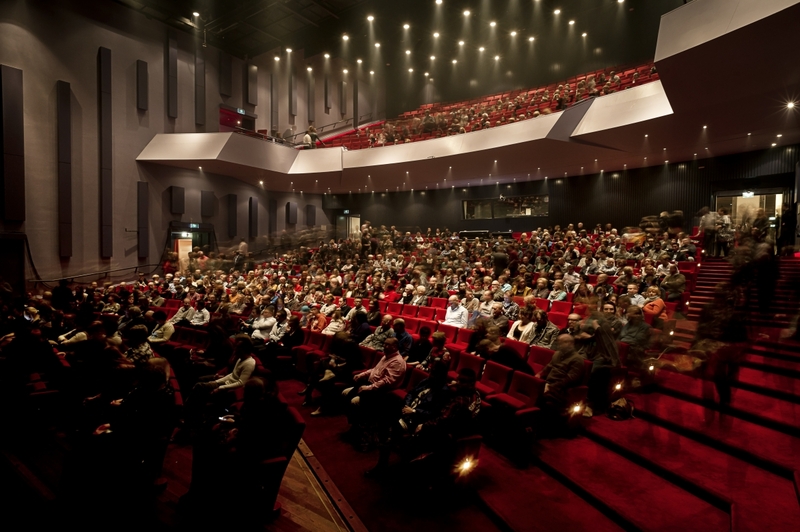 Theater aan het Vrijthof offers attractive rooms and locations. They can be rented for receptions, weddings, meetings or conferences. You can also visit a show with your company. It is also possible for you to take care of your party, exclusive concerts and performances. Photos from Theater aan het Vrijthof's post Internationaal Theater Amsterdam (Toneelgroep Amsterdam) nodigt u dit weekend uit op het podium. Volg 'Scènes uit een huwelijk' dit weekend letterlijk op de voet. Photos from Theater aan het Vrijthof's post JanJaap van der Wal heeft mooie woorden over voor Maarten van den Berg: "Maarten is een intelligente en bevlogen denker. Een groot kleinkunst- en cabarettalent." Huub Stapel speelt sublieme pathologische leugenaar. Photos from Theater aan het Vrijthof's post Nederland is een prachtland. Het land van de kansen. Waar niemand in de goot hoeft te belanden als je een beetje je best doet, toch? Nog maar 2️⃣ weken voor de start kaartverkoop van dé feel-good Broadwayhit!⁣ Deze week tellen we af met Naidjim Severina. Photos from Theater aan het Vrijthof's post Allerlaatste kaarten voor Paul de Leeuw op dinsdag 19 maart! Vette Pech! is een theatershow vol verhalen, improvisaties en kleine liedjes, over alle ‘vette pech’-momenten in het leven. single camping Afgelopen donderdagavond was de feestelijke première van Single Camping in het DeLaMar in Amsterdam met lovende reacties van bekende Nederlanders! Theater aan het Vrijthof : Lonneke Dort & Maarten van den Berg - Dubbelcabaret Wil jij twee cabarettalenten ontdekken voor de prijs van één? Dat kan op dinsdag 26 maart. Photos from Theater aan het Vrijthof's post 'Wij zijn op berenjacht' en 'Edward scharenhand' waren de afgelopen seizoenen een groot succes. Dit jaar brengt Theater Sonnevanck LEV 6+ naar AINSI Maastricht. Ons nieuwe theaterprogramma 2018/2019 is bekend! Ga naar https://t.co/yzlAmqnpYm voor het volledige programma, of neem een kijkje in onze digitale brochure https://t.co/SZV2rHmhP9. Wil je toch liever een exemplaar? Vraag 'm dan aan via onze website. Magnificent theater with beautiful halls and friendly staff. Drinking is a bit on the expensive side. Seating areas are not spacious.